A work of art inspired by down east lobster boats, San Juan Yachts embrace traditional styling with a flair and highlight modern technology. The acquisition was a perfect marriage between San Juan and Northern Marine as they are hi-end builders of robust yachts with systems that are the envy of the industry, leading edge infusion process for the composites and stunning interior design. San Juan Yachts of Anacortes Washington expands under new ownership, the company has been acquired by San Juan Capital Holdings, LLC, a division of Concorde Marine which is also the parent company to Northern Marine, builder of custom long range expedition and pleasure yachts from 57’-152’. Concorde Marine is currently building commercial seiners for the Alaskan fisheries, expedition yachts, and pleasure yachts. The legendary leader in West Coast yacht construction will continue to build the existing models and bring forward a new 50’ for 2018. 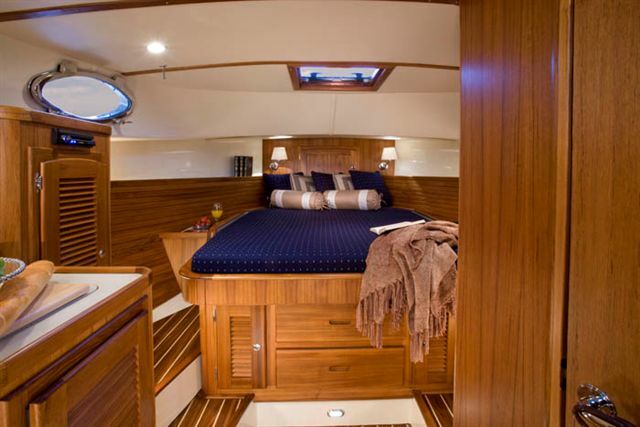 The current 48 will become the San Juan 50 with some enhancements and optional layouts. Currently under construction for San Juan are several 40’ and 50’ Volvo Penta IPS models with plans to have one in the fall boat shows, including the Fort Lauderdale show displaying the new 50’ sedan. “The acquisition was a perfect marriage between San Juan and Northern Marine as they are hi-end builders of robust go anywhere yachts with systems that are the envy of the industry, leading edge infusion processes for the composites and artisan master craftsman creating stunning interiors,” says Gilbert Villarreal, owner of San Juan Capital Holdings, LLC. “The two companies were literally side by side in Anacortes, and have shared many employees over the years. The new company has employed most of the key personnel of San Juan Composites and are being supported by the crew that has won several awards for their custom builds”. Essex Boat Works, LLC (EBW), owned by Richard Carlson, was recently appointed the exclusive Northeast dealer for San Juan Yachts. Essex Boat Works is an authorized service and warranty center on the East Coast, managed by John Lewis, where they have enjoyed a working relationship with San Juan Yachts for many years. 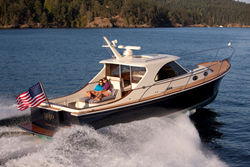 The new sales venture will be a first for both companies as San Juan has not previously sold through a dealer network and this will be the first new boat line to be represented under the new ownership at Essex Boat Works, LLC. “San Juan Yacht sales at EBW will be headed up by seasoned yacht broker and Sales Director Bob Jarrett. Bob has held positions with among the nation’s leading builders, dealers and brokerage firms having represented over five hundred families in the purchase or sale of their yachts during his thirty-year career in yacht sales,” says Diana Gregory, Controller of Essex Boat Works, LLC. 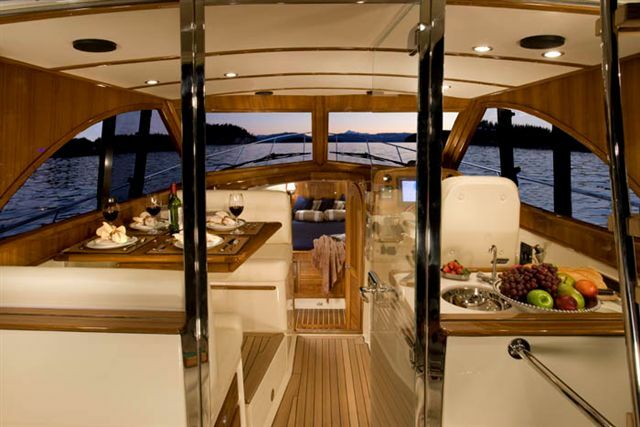 The company continues the craft and tradition of yacht construction at their Anacortes, Washington location, known as the fiberglass boat building capital of the world. 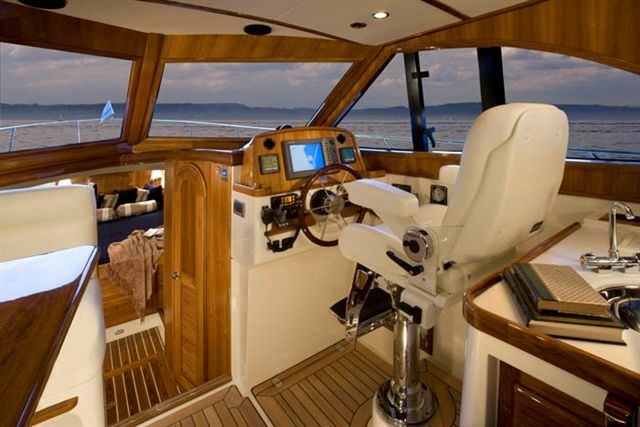 San Juan Yachts prides themselves on state of the art technology using strong light weight composite products, most of which has been influenced the region’s aeronautic industry. 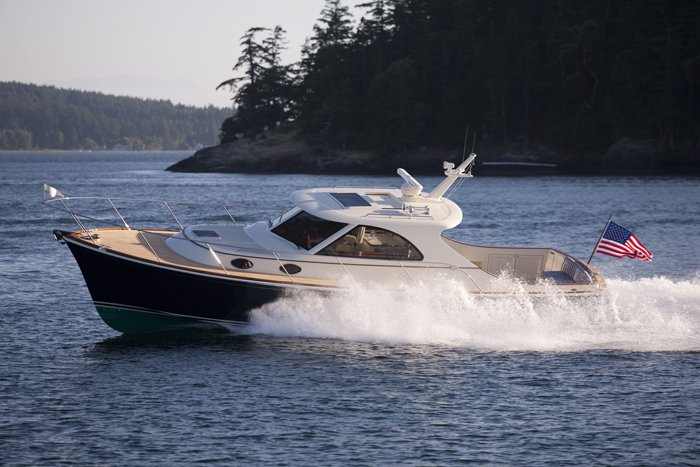 The boats are designed by Greg Marshall with softer lines and built to the American Bureau of Shipping (ABS) guidelines and the machinery and equipment installed per the regulations of the United States Coast Guard and American Boat and Yacht Council. One of the oldest remaining shipyards in the country, the location of Essex Boat Works predates the War of 1812, where the building of the U.S. warships was performed. Located in the heart of the historic Essex Village, EBW continues the legacy of top-notch customer relations and professional services including; marina, storage, service, brokerage and new yacht sales. Essex Boat Works, LLC provides the Eastern Long Island Sound’s only 100-ton lift serving the commercial boat market and large pleasure yachts and is also the exclusive Northeast dealer for San Juan Yachts. For more information visit: http://www.essexboatworks.com or call 860-767-8276.